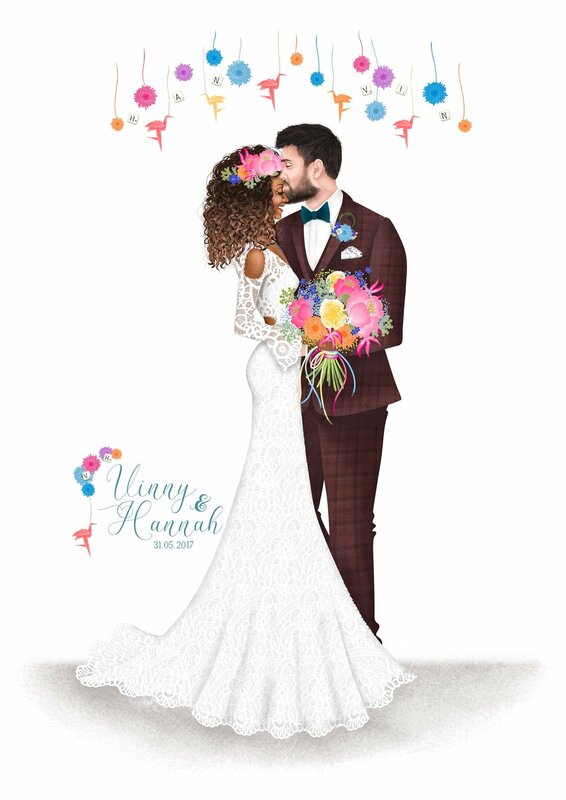 An Illustrated Wedding Portrait is the perfect way to capture an individual or a group of people in a way that no photo could ever achieve. 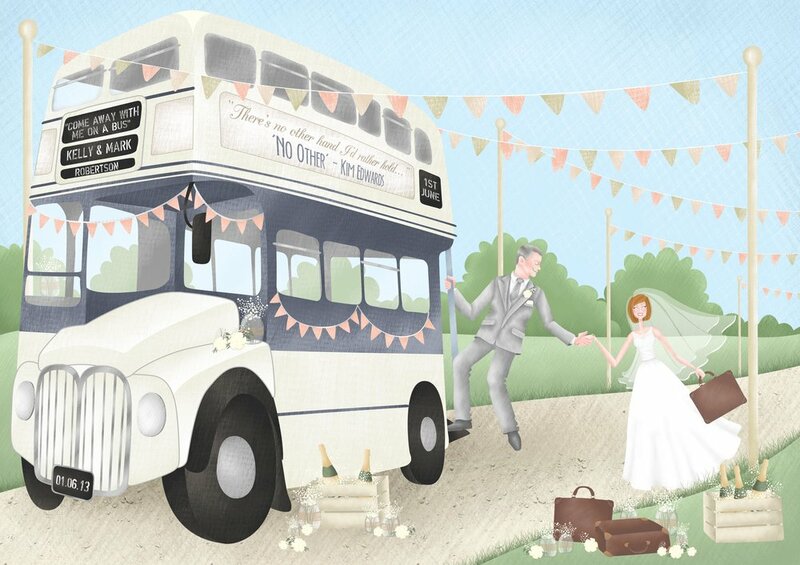 If you having something in mind for your Wedding Portrait, get in touch and I will talk with you to come up with something to reflect you and your personality. 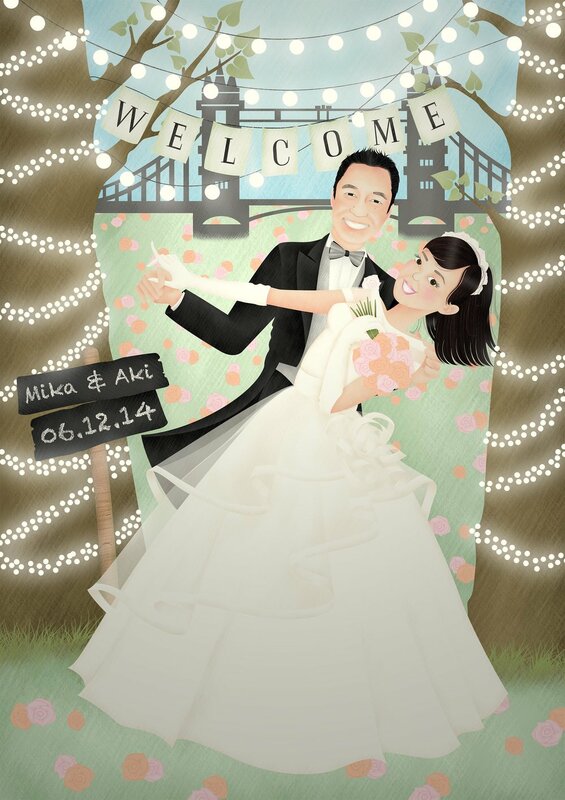 These can be used, as they are as a keepsake of your big day, or as a unique Wedding Gift. 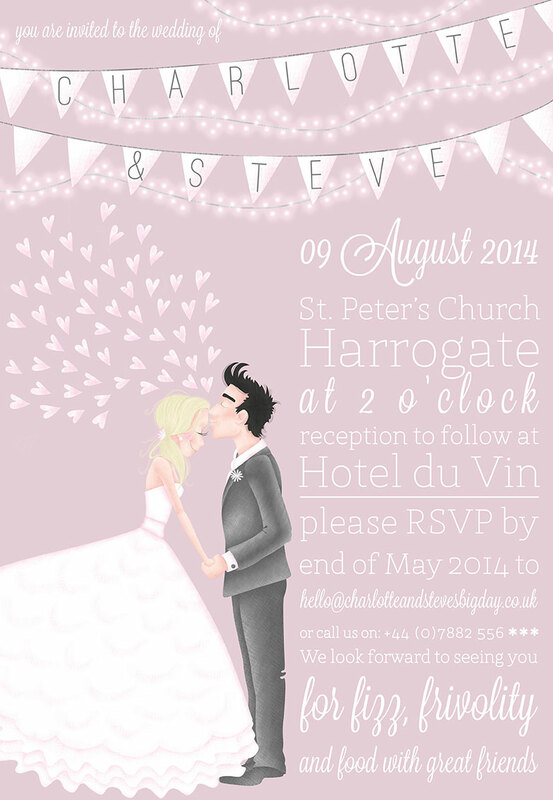 Alternatively, speak to me about incorporating an illustration into your wedding stationery. 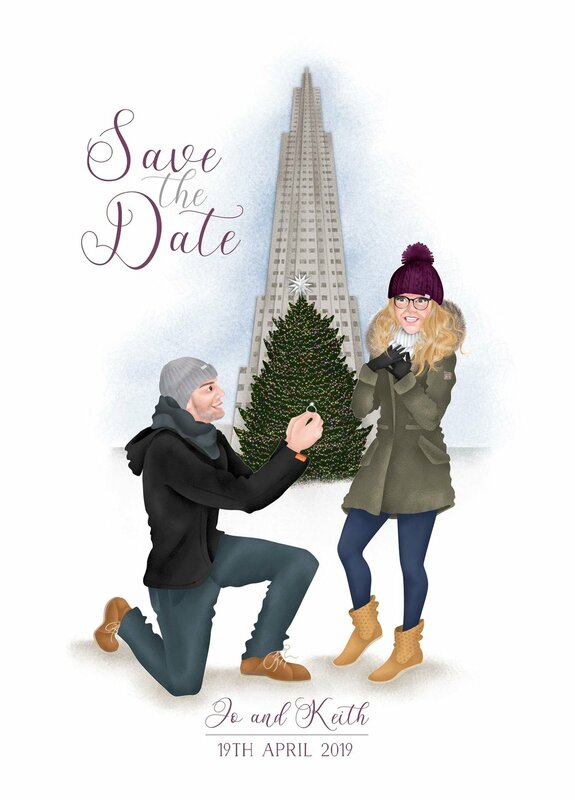 Think about adding your drawings to your Save the Dates, Wedding Invitations and Thank You Cards – I can take care of the layouts and text for these too ( I will even take care of the printing and envelopes!). 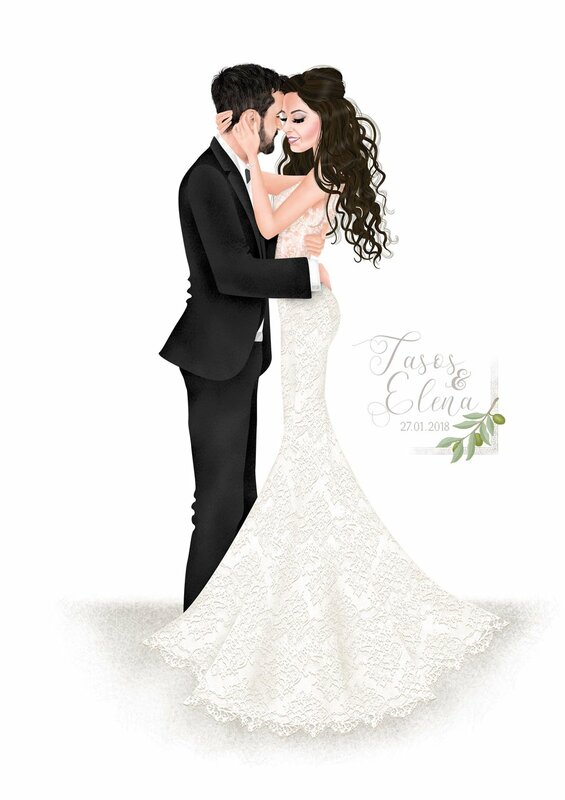 Take a look at my gallery of simple, elegant wedding dress and tux illustrations here. Simply provide me with photos of each person, the venue (if you would like it including), the outfits and details of the accessories. If you have a composition in mind then you can give me direction, otherwise I will come up with some suggestions that we can discuss together. 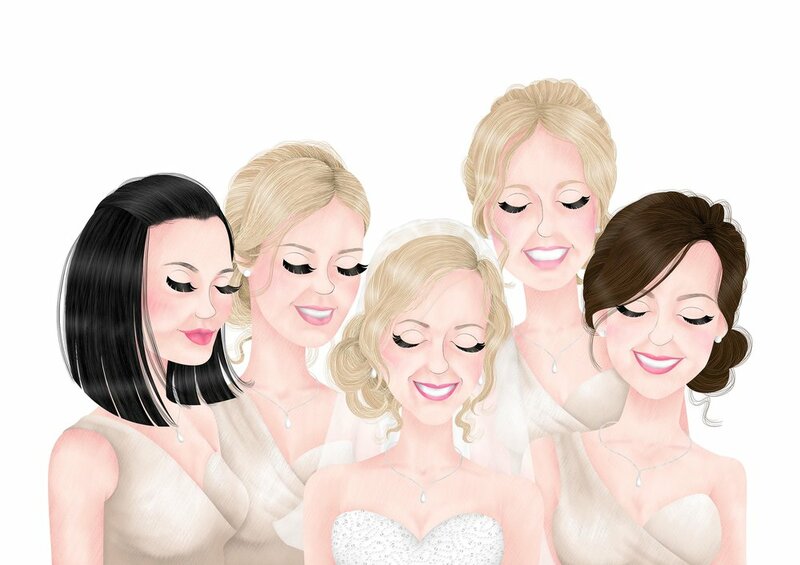 Wherever you want to be, with whoever you want to be with – I will create an Illustrated Portraits for you. 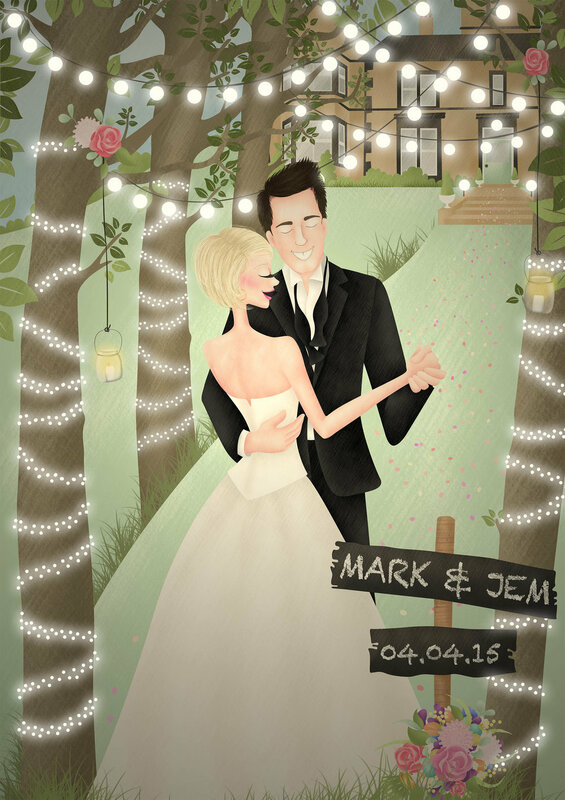 Whether you want only the digital file or the illustration delivered in a beautiful hand-made frame, I can help. To get started, please fill in my "get a quote" form here. If you'd like to purchase a Custom Portrait for someone else, you can buy a 'print at home' Gift Certificate.